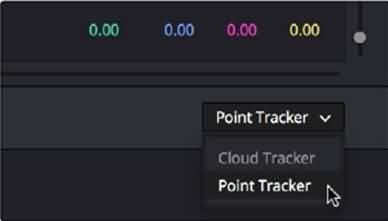 How to Use Point Tracker in DaVinci Resolve? There is no doubt to say that DaVinci Resolve is a powerful yet simple platform where 3D cloud tracks and point trackers assist users in fast tracking over any Power Window, Polygon, Linear, Circular and Gradient or Power Curve in which you can select any feature as per need. The cloud tracker is capable enough to analyze all the trackable parts of an image. They are further utilized to figure out essential details about shot motion that you can further use to stabilize or Power Window. Such type of tracker is useful for tracking window at faster pace so that movement of almost every feature can be analyzed. The Point Tracker helps you to develop tracker crosshairs and they can be further positioned manually at different locations for tracking specific features. More crosshairs lad to much accurate information. This point tracker is actually useful when you wish to stabilize shots with moving subjects. How to use the Point Tracker to Track a Moving Face? Step 1: Move the playhead over current shot frame to the point from where you wish to start tracking. It is not compulsory to begin from the very first frame because this tool allows users to move backward freely. Step 2: Now switch on any window and then adjust it in such a manner that it can accommodate your feature that you are going to track ahead. For example when you have to track someone’s face then you need to choose a circular window but make sure that you have selected this window before initiating the tracking process. Step 3: It is time to open the Tracker palette and then select the Point Tracker from the bottom right pop up. Step 4: It is necessary to select your motion type and apply it over your workspace window before beginning the tracking process in actual. You can make easy selections out of a wide range such as perspective 3D, Rotate, Zoom, Tilt or Pan etc. depending upon the number of points that you want to track, you can pick range of motions. Step 5: Click the Add Tracker button on screen and soon a new crosshair or trackers will appear on screen. Step 6: Move the track pointer on the crosshairs tracker, soon it will get converted into a move cursor and it can be easily dragged to crosshairs. You need to line it up with the feature that you wish to track next. To get the most impressive results, prefer to put high contrast type details; you can make such adjustments over corners, pebble shapes, at the end of the line etc. Although many point trackers demand adjustments over inside as well as outside regions but here you need to work only upon the crosshairs. For example, if you need to work specifically on eyebrow part of the selected face then you need to place your crosshairs at that stage and tracker will slowly start picking up all details from blinks.